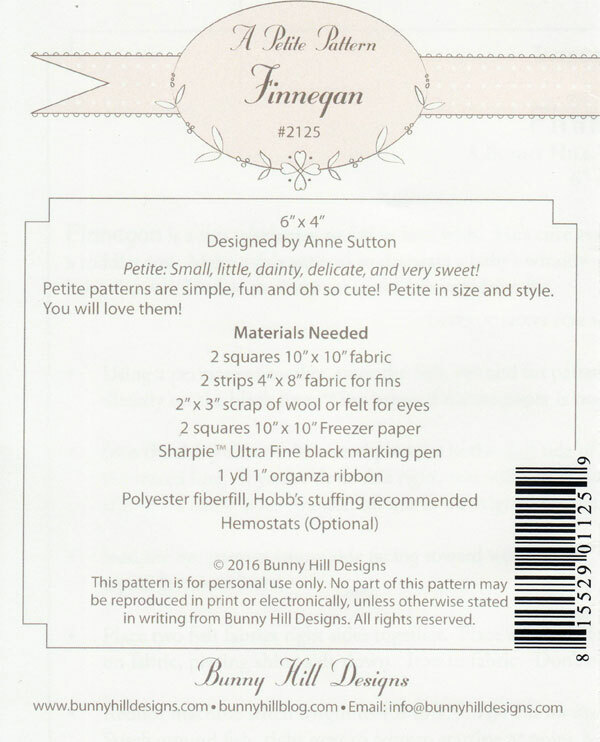 Finnegan petite stuffed animal sewing pattern from Bunny Hill Designs by Annie Sutton. It's a fish named Finnegan! 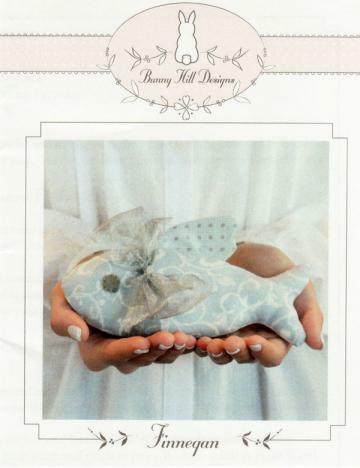 Finnegan is the perfect size to fill a basket for a baby shower, decorate a present, make a garland for baby's room or a toy for baby. Petite patterns are small enough to tuck inside a card for the perfect SECRET SISTER/STITCHER GIFT -- and so easy to make. Finished size is 4" X 6"